December 1 1806 On December 1, 1806, Presbyterian minister Robert Elliot was appointed chaplain of the U.S. House of Representatives. Reverend Elliot later served as chaplain to the U.S. Senate on Nov. 10, 1808. He also was the principal of the Eastern Academy school on Capitol Hill in the Washington, D.C., which opened on May 19, 1806. Rev. Elliot arrived in D.C. from Strasburg, Pennsylvania. 1 1834 On Dec. 1, 1834, Rev. Edward Dunlap Smith was appointed chaplain of the U.S. House of Representatives. 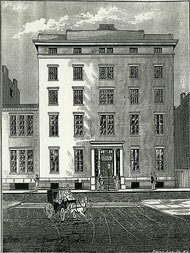 A graduate of Princeton University and Princeton Theological Seminary, Reverend Edward D. Smith served a Presbyterian church in Washington, D.C., before moving to New York City's Old Chelsea Presbyterian Church (West 22nd Street) in 1838 and preached there for 30 years before retiring. brigade or division and applied for ordination from the Presbytery of Newcastle. After a Presbytery examination, Rev. Armstrong was ordained on Jan. 14, 1778. He was confirmed by action of the Continental Congress on July 17, 1778, to "be appointed chaplain of the Second Brigade of Maryland forces." Rev. Armstrong served through the Yorktown victory in October 1781. After the Revolutionary War, Rev. Armstrong accepted a call to the Presbyterian Church in Trenton, New Jersey. 2 1822 On Dec. 2, 1822, Rev. John Breckenridge was named chaplain of the U. S. House of Representatives. Born in 1797, John Breckenridge graduated from the College of New Jersey (Princeton) in 1818 and from Princeton Theological Seminary circa 1821. He was licensed on August 22, 1822. He moved to Washington, D.C., and while working with Rev. Reuben Post, was asked by the U.S. House of Representatives to serve as chaplain in 1822. On May 22, 1823, he joined the Presbytery of West Lexington and became the pastor to the McChord Presbyterian Church, Lexington, Kentucky. He would later serve as pastor of Second Presbyterian Church, Baltimore, and then in 1831 as agent and secretary for the Presbyterian Board of Education in Philadelphia. 4 1861 On Dec. 4, 1861, 93 commissioners from 47 presbyteries met in Augusta, Georgia, to form the Presbyterian Church in the Confederate States of America (later known as the Presbyterian Church in the United States). The meeting was held at the First Presbyterian Church (at left), where the Rev. Joseph Ruggles Wilson (1822 - 1903, shown at right) was pastor. At the time, he also was the father of five-year-old Woodrow Wilson, future President of the United States. This southern branch remained separate until 1983, when it reunited with the northern branch, the United Presbyterian Church in the U.S.A., to form today's Presbyterian Church of the United States of America. 5 1836 On Dec. 5, 1836, The New York Theological Seminary (chartered in 1839 as Union Theological Seminary) in New York City opened its doors for teaching. On that day, 13 students appeared at the President's (Rev. Thomas McAuley) house at No. 112 Leonard Street to enroll and start a class. 6 1824 On Dec. 6, 1824, and on Dec. 5, 1831, Rev. Reuben Post was named chaplain of the U. S. House of Representatives. He also served as the pastor of First Presbyterian Church of Washington, D.C. (1819 - 1836). Reverend Post then accepted a call to the Circular Church in Charleston, SC, in February 1836, where he finished his career. He died in Charleston in 1858. 6 1830 On Dec. 6, 1830 and on Dec. 6, 1847, Rev. Ralph Randolph Gurley was named chaplain of the U. S. House of Representatives. A Presbyterian, Gurley served as the Secretary of the American Colonization Society for decades, as well as editor of its newsletter. The Society offered free passage to West Africa (Liberia) for free blacks. 6 1852 On Dec. 6, 1852, Presbyterian Rev. James Gallagher was named chaplain of the U. S. House of Representatives. 7 1846 On Dec. 7, 1846, Presbyterian Rev. Dr. William T. S. Sprole was appointed chaplain of U.S. House of Representatives. On December 8, 1815, Presbyterian Rev. John Glendy was appointed chaplain of the U.S. Senate. 8 1824 On Dec. 8, 1824, the first Presbyterian church in Florida was incorporated at St. Augustine. Organized during late 1823 and 1824, Rev. Dr. William McWhir helped organize what became First Presbyterian Church and is now known as Memorial Presbyterian Church. 8 1873 On December 8, 1873, Presbyterian Rev. Dr. Byron Sunderland was appointed chaplain of the U.S. Senate. 8 1819 On December 9, 1819, Presbyterian Rev. Dr. Reuben Post was appointed chaplain of the U.S. Senate. 9 1832 On Dec. 9, 1832, Rev. Alfred Wright (March 1, 1788 - March 31, 1853) founded the Wheelock Church in Indian Territory. A Presbyterian minister and missionary to the Choctaw in Mississippi since 1821, Rev. Wright and his wife, Harriett Bunce Wright (Sept. 19, 1779 - Oct. 3, 1863), decided to move with the Choctaws in 1832 when they were forcibly removed to Indian Territory (now Oklahoma). The church was the first part of the large Wheelock Mission, which included a school. Harriett Wright was one of the original two teachers at the school. 10 1790 December 10, 1790, Presbyterian Rev. Samuel Blair was appointed chaplain of U.S. House of Representatives. 10 1866 On December 10, 1866, Rev. David McFarland of Mattoon, Illinois (shown at left ) opened a school with ten scholars in Sante Fe. He was commissioned by the Board of Domestic Missions of the Presbyterian Church, and arrived in Fall 1866. 11 1932 On December 11, 1932, Presbyterian medical missionary and diplomat Horace Newton Allen died. Dr. Allen (below) was the first Presbyterian missionary into Korea in 1884 when the country began allowing missionaries in. He saved the life of the Prince Min Young Ik, injured in an assassination attempt. 11 1933 In the Dec. 11, 1933, issue of Time Magazine, an article called "Missionaries" highlighted a new weekly short-wave international broadcast for missionaries. "Nkol Mvolan, meaning 'Hill of Help,' is a Presbyterian station in Cameroon, West Africa. There, deeper in the jungle than any other Presbyterian missionaries, Dr. & Mrs. George W. Thorne (listened).... Last Sunday night and the Sunday before, a short-wave broadcasting station in Pittsburgh took a half hour of worship to the thousands of Presbyterians, Baptist and Methodist missionaries in every land. "The Thornes waited expectantly through the service, and presently they heard: 'To Dr. & Mrs. George Thorne. . . . Fred and Mary join us in wishing you a happy Thanksgiving. It is our prayer that you may be able to carry your heavy load with faith and courage.' "
Thirty-four years later on December 11, 1957, The American Presbyterian Mission became the Presbyterian Church of Cameroon. "Over ten thousand people attended the celebration,” according to The Drum Call, April 27, 1958. 12 1838 Although opened in 1836, the first Union Theological Seminary's (New York) first building (below) wasn't opened until Dec. 12, 1838. The building was located at No. 9 University Place, New York. It had a 63-foot frontage and held a chapel, three lecture rooms, a reading room, a library, and a few rooms for students. 14 1868 On December 14, 1868, Walter Lowrie died. For three decades (Dec. 1836 - 1868), Lowrie had served as Secretary of the Board of Foreign Missions for the Presbyterian Church in the United States of America. Previously, he had served in the Pennsylvania legisture (1811 - 1819), a term as U.S. Senator (1819 - 1825) from Pennsylvania, and then Secretary of the U. S. Senate (1825 - 1836). He had studied to become a Presbyterian minister (pre-1807) before financial needs caused him to go into teaching and later politics. 16 1714 On Dec. 16, 1714, revivalist and evangelist George Whitefield was born in Gloucester, England. His preaching in the middle American colonies helped to create the Great Awakening of the 1740s. 18 1915 On Dec. 18, 1915, U.S. President Woodrow Wilson married Edith Galt, a year after his first wife died. Picture at right shows them after their wedding. Wilson was the son of a Presbyterian minister and a life-long Presbyterian. 18 1966 On December 18, 1966, Rev. Hugh Dickson Smith died. He was a Presbyterian minister who served as a missionary to the Navahos. Born in 1882, Smith graduated from the Presbyterian Theological Seminary in Austin, Texas, in 1912. He was assigned to Coleman, Texas, and worked for four years as a cowboy minister. In 1917, he began serving the Navahos in Arizona. In 1920, he became a freelance missionary to the Navahos and served for another 45 years in that capacity. He was widely known as "Shine," a nickname he picked up because of a song he would teach young Native Americans. Rev. 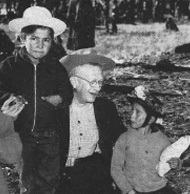 "Shine" Smith is shown at right in 1949 with two Navaho children. 20 1560 On Dec. 20, 1560, the first General Assembly of the Church of Scotland convened in Edinburgh. Led by John Knox (shown in drawing at right), five other ministers and 34 elders met and adopted the Book of Discipline and submitted it to the Scottish Parliament. 22 1856 On December 22, 1856, the Rev. Dr. Cortlandt Van Rensselaer (shown at right), chairman of the Executive Committee and founder of the Presbyterian Historical Society (1852), completed his notice and biographical sketch of the Rev. Richard Webster (shown left ) for the first book published by the PHS  "A History of the Presbyterian Church in America"
(1857) written by Rev. Webster. 22 1921 On Dec. 22, 1921, the first radio station license for a religious broadcaster in the U.S. was granted to the National Presbyterian Church of Washington, D.C.
23 1815 On December 23, 1815, Henry Highland Garnet (shown below) was born a slave in Kent County, Md. Escaping to freedom in 1824, he would be educated at Oneida Institute (Whitesboro, NY) and served as a minister beginning in 1840 at the Liberty Street Presbyterian Church in Troy, NY, (1840 - 1848) and later churches in New York City (September 1856 - 1864 and then 1869 - 1881, Shiloh Presbyterian Church) and Washington, DC (1864 - 1869, Fifteenth St. Presbyterian Church). Garnet was ordained as a Presbyterian minister in 1842. He was a fiery opponent of slavery and was opposed for national leadership of the black community by Frederick Douglass, who advocated less violent actions. On February 12, 1865, Rev. Garnet was invited to address the U.S. House of Representatives at the U.S. Capitol. The first speech by an African-American to Congress, the appearance by Rev. Garnet was arranged by President Abraham Lincoln. In 1881, he was appointed diplomatic minister to Liberia, which was founded by free blacks from America and promoted by the American Colonization Society, which was founded and led by many Presbyterians. He died two months after arriving in Liberia on February 13, 1882. 24 1880 On December 24, 1880, Rev. Albert Barnes (shown at right) died. He was a prominent leader of the News School during the New School-Old School division from 1837 - 1869. His trial for heresy in 1836 by Old School elements and his subsequent acquittal helped to add to the bitter division between the two segments in the denomination. Born on Dec. 1, 1798, Rev. Barnes had graduated from Princeton Theological Seminary in 1823 and ordained in 1835 by the Presbytery of Elizabethtown (New Jersey). Both an author and preacher, he was pastor of the Presbyterian Church in Morristown (NJ) from 1825 - 1830 and of the First Presbyterian Church of Philadelphia (PA) from 1830 - 1867. 25 1749 Colonial Christmas observations were varied. On Dec. 25, 1749, Finnish-Swedish naturalist Peter Kalm was in Philadelphia and noted in his diary: "Christmas Day. . . .The Quakers did not regard this day any more remarkable than other days. Stores were open, and anyone might sell or purchase what he wanted. . . .There was no more baking of bread for the Christmas festival than for other days; and no Christmas porridge on Christmas Eve! One did not seem to know what it meant to wish anyone a merry Christmas. . . .first the Presbyterians did not care much for celebrating Christmas, but when they saw most of their members going to the English church on that day, they also started to have services." "Christmas Morning  Not A Gun is heard  Not a Shout  No company or Cabal assembled  To Day is like other Days every Way calm & temperate  People go about their daily Business with the same Readiness, & apply themselves to it with the same Industry." 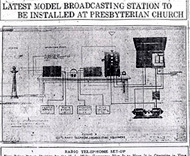 On Dec. 25, 1924, the Pasadena Presbyterian Church launched its non-commercial radio station, KPPC-AM, with carols (December 1924 newspaper story announcing the station right ). The Californa station would operate with a limited schedule (twice a week) and low power (50 to 100 watts). The church sold the station in October 1967, but it continued operating until 1996. The church's Sunday morning services were broadcast for 72 years  perhaps the longest continuously running program in radio history! 25 1928 One of the top cowboy actors in Hollywood, Fred Thomson died on Dec. 25, 1928. A Presbyterian minister and former U.S. Army chaplain, Thomson married screenwriter and director Frances Marion in 1919. When an actor failed to show on a set in 1920, his wife drafted him into the movie. By the mid- 1920s, Thomson was a star, being named by movie exhibitors as the number two male box-office draw in 1926 and 1927, only behind fellow cowboy star Tom Mix. 26 1775 On December 26, 1775, the Provincial Congress of North Carolina petitioned the Presbytery of New Brunswick (NJ) to send the Reverend Elihu Spencer to the colony "to unite the people in the cause of independence." Rev. Spencer previously had visited the colony in 1764 to help set up and organize Presbyterians there. 27 1809 On December 27, 1809, Rev. John Edgar Freeman was born in New York City. He graduated from Princeton and Princeton Theological Semiinary and was selected in 1838 as a Presbyterian missionary to India in various towns (Allahabad, Mainpuri, Fategarh or Futtehgurh), along with the Rev. Joseph Warren. Rev. Freeman was killed on June 13, 1857, in Cawnpore along with his wife (Elizabeth Vredenburgh Freeman) and six other Presbsyterian missionaries in the Indian Mutiny (Revolution) of 1857 againt the British East India Company. The other matyr American Presbyterian missionaries were Rev. David E. Campbell and his wife, Mary J. Campbell; Rev. Albert O. Johnson and his wife, Amand Joanna Gill Johnson; Rev. Robert E. McMullin and his wife, Sarah Colt McMullin. 28 1797 On Dec. 28, 1797, Rev. Charles Hodge was born in Philadelphia, Pennsylvania. After graduating from the College of New Jersey and Princeton Seminary, Hodge was ordained by the Presbytery of New Brunswick in 1821, and then appointed to the Princeton faculty in 1822. He served there for 56 years, training over 3,000 students. In 1825, he founded the Princeton Review. On Dec. 29, 1856,Thomas Woodrow Wilson was born in Staunton, Virginia. The future President was the son of Presbyterian minister Joseph Ruggles Wilson. A life-long Presbyterian, Woodrow Wilson would serve as the 13th President of Princeton University from 1902 - 1910 and as U.S. President from 1913 - 1921. He died in 1924. 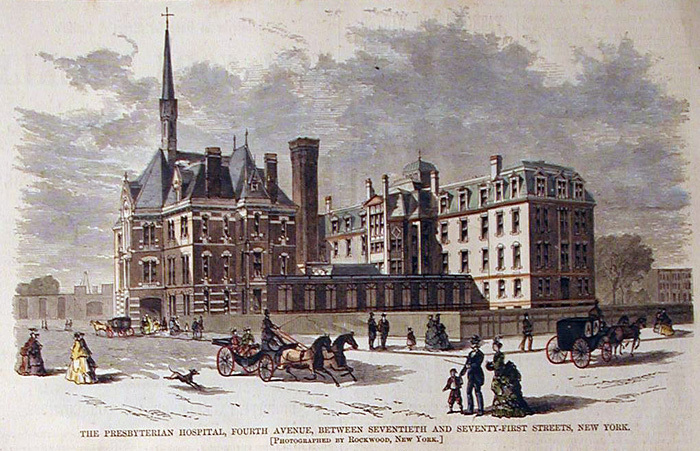 31 1997 On Dec. 31, 1997, America's second oldest hospital, The New York Hospital, merged with Presbyterian Hospital (founded 1868) to form The New York Presbyterian Hospital in New York City. The hospital is the university hospital of Weill Medical College of Cornell University and College of Physicians and Surgeons of Columbia University. © 2016. Presbyterian Heritage Center at Montreat.